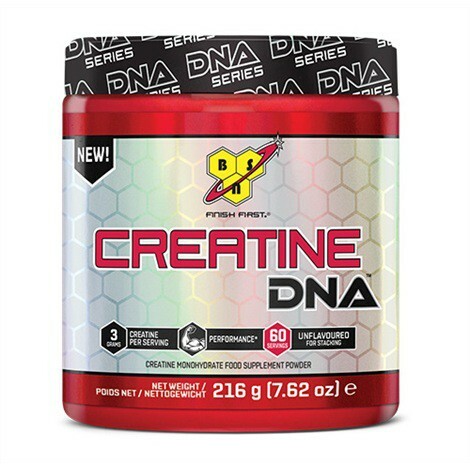 Produktinformationen "BSN DNA Creatine 216g"
Supports Muscle, Strength, Recovery and Performance! 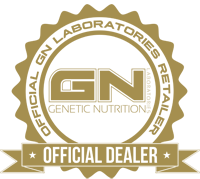 Creatine DNA™ provides 5 grams of pure, micronized Creatine Monohydrate, which supports strength, power, and lean body mass without any fillers or additives. Creatine helps fuel your muscles during periods of high-intensity exercise. Supplementing with Creatine Monohydrate can help replenish your body’s own creatine stores.. And since Creatine DNA™ is unflavored, you can add it to your post-workout recovery shake or favorite beverage. 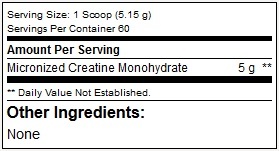 Mix one scoop of Creatine DNA™ with 8 oz. water or your favorite beverage of use as derected by a physician or licensed nutritionist. Weiterführende Links zu "BSN DNA Creatine 216g"
Kundenbewertungen für "BSN DNA Creatine 216g"